This summer I was asked by DP JP Bernier to help the team at ValleDuhamel with the color grading of three tv commercials for Reebok’s new shoes. For those who were wondering if we slept at night, we took a walk on the dark side by creating these 2 spots for athletic shoes giant Reebok. A video in which we follow a runner through a surreal urban world in which shoes are faster than people, landmarks make music, and street lines are blown in the wind. The project promised to be an interesting one. We used the Sony 55 to be able to switch quickly between 23.98 shot and speed ramps. The live output was feeding the LiveGrade station I was operating to give a previz to the agency and the client. Between shots, I was doing the data wrangling a mix of XAVC and SONY RAW on the Macbook Pro, feeding two copies and generating proxies on Resolve for the editor. LiveGrade proved to be very handy and enabled me to export Resolve LUT to apply to the proxies. The editing was done at The Workshop in Mile End. Once the final edit locked in Premiere I got the usual XML and EDL to conform back in Resolve. This was followed by 2 days of color grading. First, we had to match the shots with very different contrast and manage the light structures and their shadows, then I had to make the shoes pop out. Reebok color grading breakdown from Mathieu Marano on Vimeo. 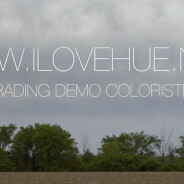 Mathieu Marano – Color grading demo – 2014 from Mathieu Marano on Vimeo. The Rotten Monk is a nice black and white piece I graded for Omar Antonio Iturriaga. It was his final project at the Mel Oppenheim Film School. A surreal dark comedy exploiting the b-film genre in which a young monk must endure the trials of the Holy Forest while being guided through by an old and enigmatic character. 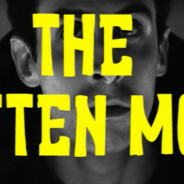 The Rotten Monk Trailer from Omar Antonio Iturriaga on Vimeo.